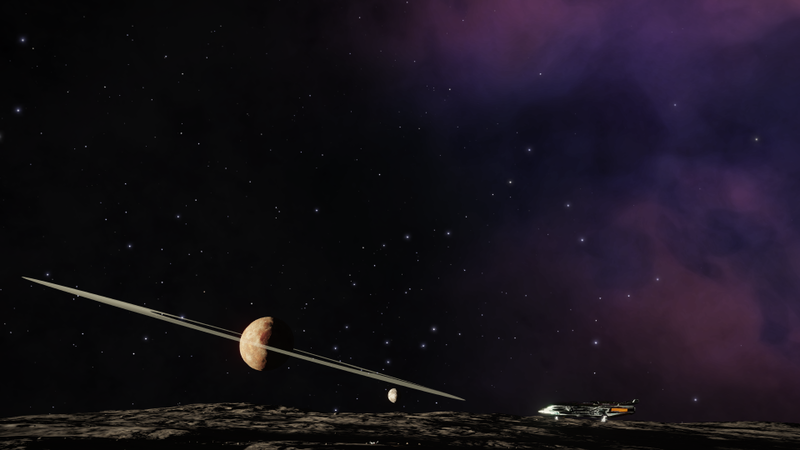 Today was just flying to the Seldowitch Nebula. 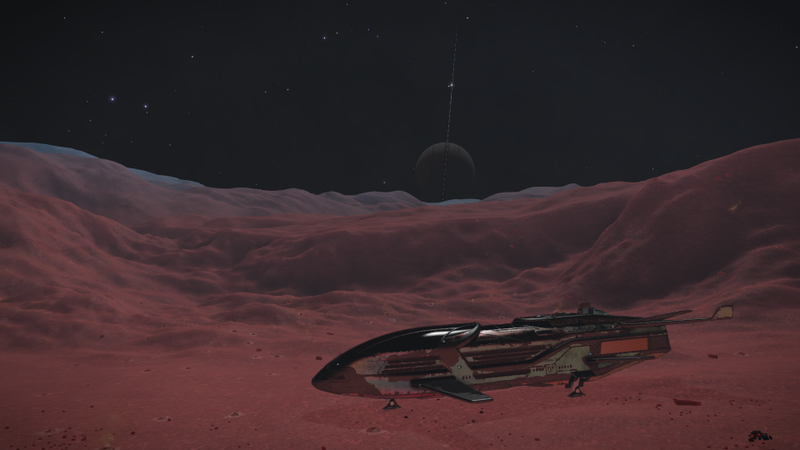 The nearby Thuecheae WR-H d11-54 system gave a nice view of the nebula from the moon of a ringed landable planet with a second moon (also landable) on the horizon. Didn't travel at all today. In fact I started up Star Citizen for the first time in a couple of years. Barely got my Mustang off the pad because all the controls were inverted. I put a little distance between me and Port Olisar then settled down to figuring out the controls. While I was doing that I was blown up by some pillock. I guess I was targeted because I was stationary and that was the only sort of target they could hit. I sure hope Star Citizen gets a single-player mode. Anyway, when I logged on to Elite, there were several people hanging around WP11. At one point I had to log off. 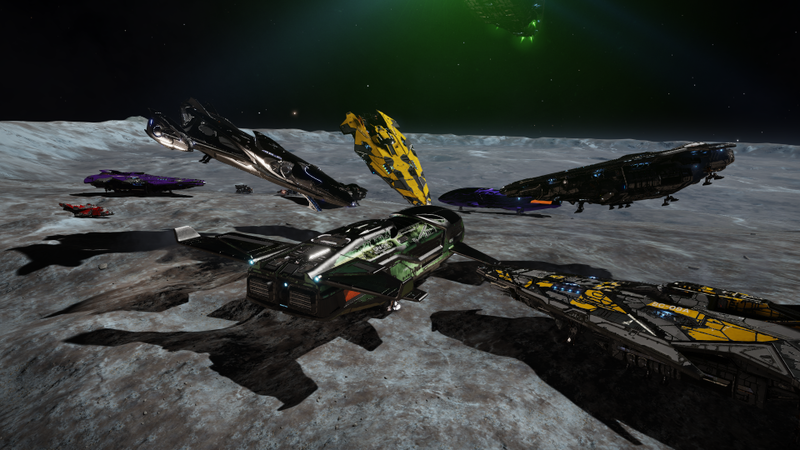 When I returned, a number of Anacondas and a Cutter arrived and started 'booping' landed ships. 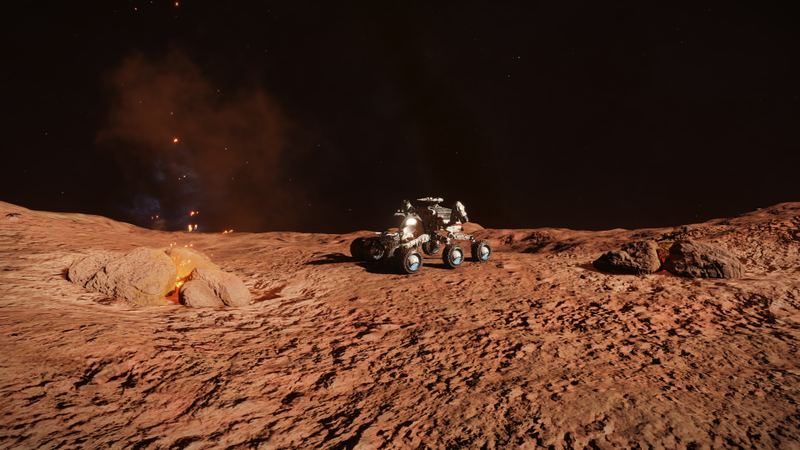 While waiting for 19:00 I launched Cmdr Phantomwheelspinner and their SRV up to about 2km, then tried to throttle up and things turned weird and they disappeared, eventually falling to the ground and exploding. By 19:00 the instance had dwindled to just a few commanders. 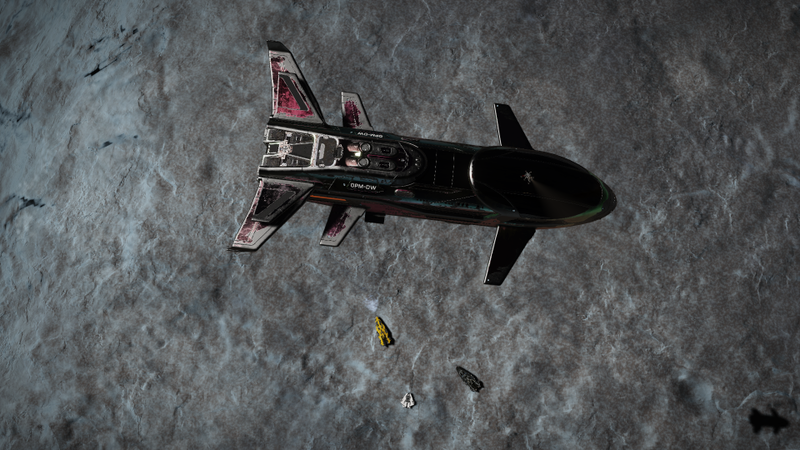 I organised an impromptu mini-jump with the few commanders left and we jumped to Smootoae QY-S d3-202. On arrival there seemed to be more commanders than jumped, so no doubt some commanders from the offical mass-jump instances. Apparently, there were some griefers in the Fleetcom PG! I just logged out. I'll start the trek to Beagle Point tomorrow. Pretty much the entire day was spent prospecting. The end result, though, was maxing everything out. The last was Zirconium. 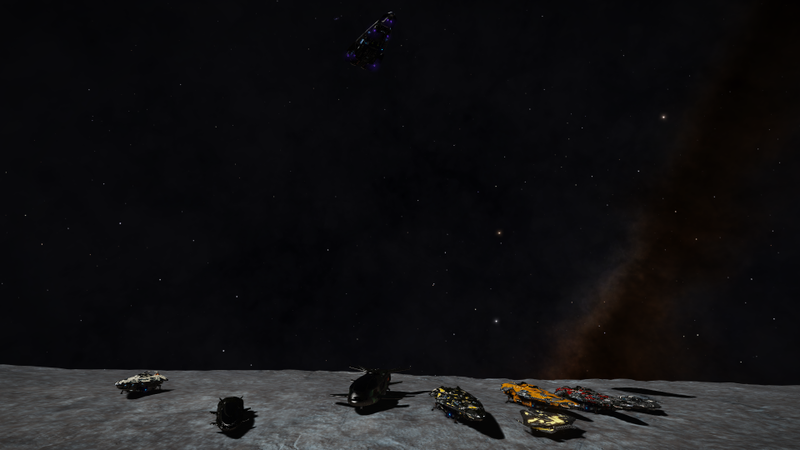 I ended the day by returning to the WP11 meetup site, where I found several other commanders. Probably won't do much tomorrow, just shoot the breeze and wait for the route map to Beagle Point. Both these days I spent prospecting and topping up my materials. 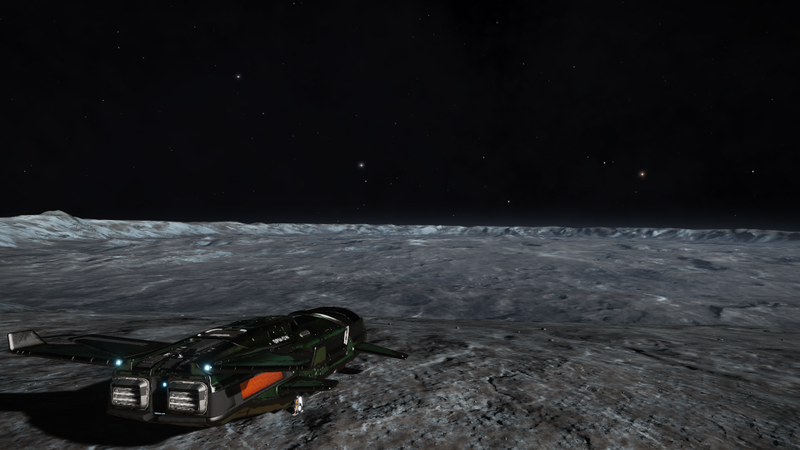 It's really nice to get out in the SRV for a bit after all the travelling. 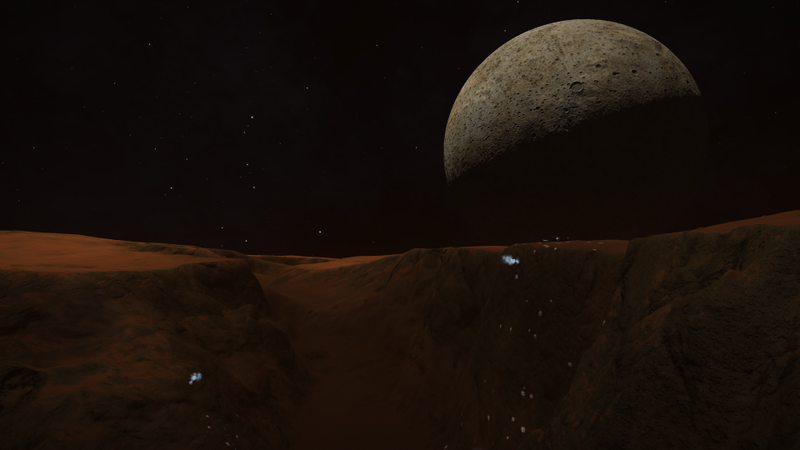 Drooteou RA-U d4-109 8 a a in particular is both a good place for a view of its nearby landable parent moon, but also a good place to find Polonium, as it is volcanically active. It took both these days to fly the 60 jumps to Shadow Earth. From there it was only 2 jumps to the WP11 meetup system, Luna's Shadow on 3 a at -68.4811/64.2183. I think this is the earliest I've been to arrive at a meetup site so far on this expedition. 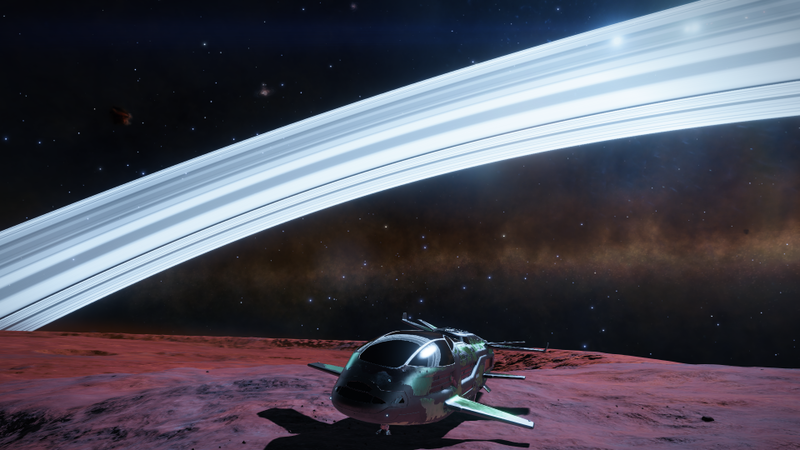 Tonight I flew to Hula Hoop where the class IV gas giant body 1 is only 30Ls from the entry star. I was now 78 jumps and 3,700Ly from the next POI, Shadow Earth. I called it a night with 60 jumps still to go. Day 89 I didn't fly at all - I went to the pub instead! 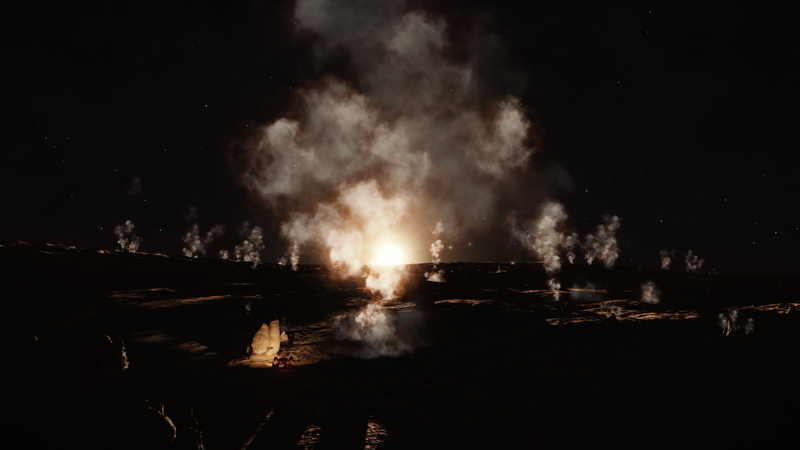 Day 90 I logged on and any decision regarding driving my SRV into the crater had been made for me - it was pitch black, and driving the SRV in the dark is no fun at all. I took off and turned towards Aristo. I landed at the notional 'rest stop' on the surface on ABC 6 (-48.126/128.380), but there was nobody there. 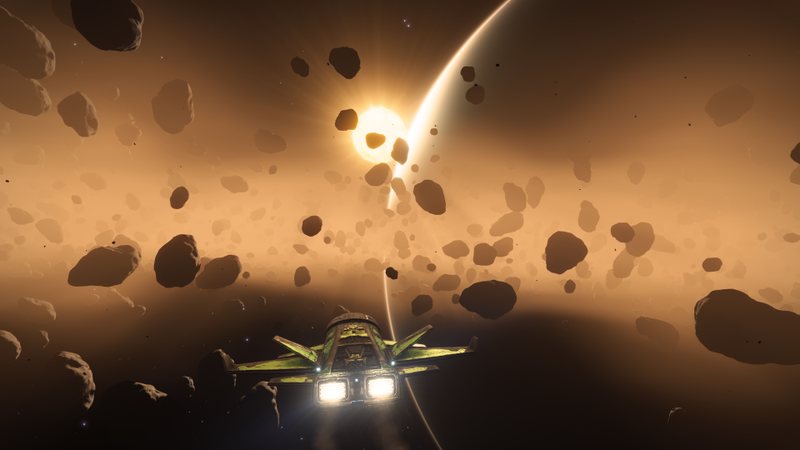 Most of day 91 was spent flying to Kalipheron and the 'rest stop' at Geological 12 on 3 a. 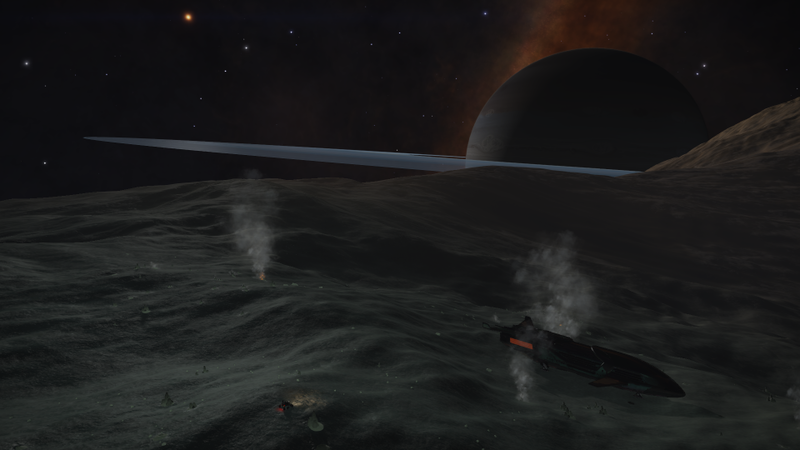 The site is Ammonia Ice Geysers. The needle crystals have Antimony, which I'm a little low on, so that was good. After a meal break, I logged back on and found Cmdr Junagu had arrived. 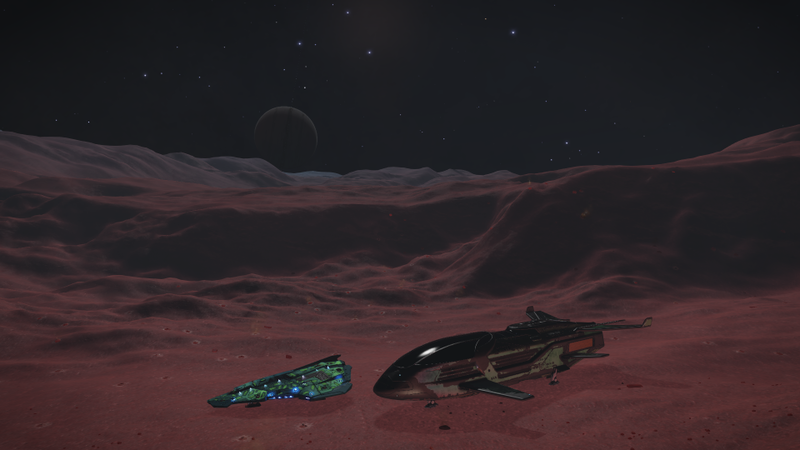 We talked and drove our SRVs around for a while, then he had to go AFK and I decided to leave for the Misty Mountains of Byeia Free. Sadly, there doesn't appear to be any sign of a mist. 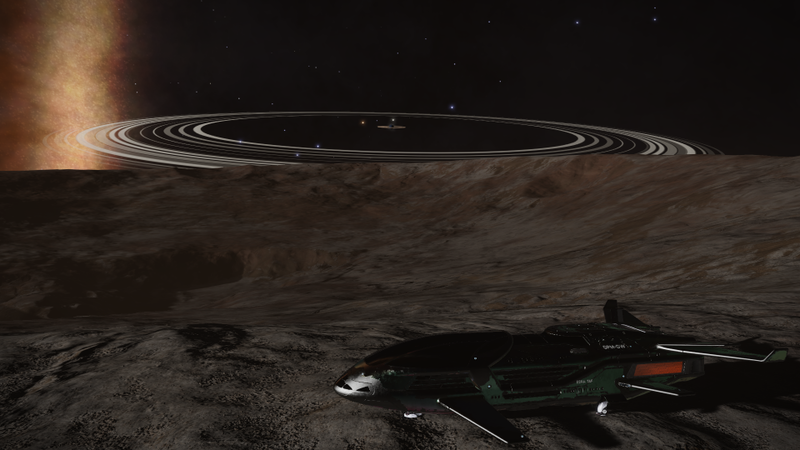 The view of the gas giant and rings is still spectacular! I left the Phoenix Nebula behind and headed for Poseidon's Fury. 58 jumps later, I arrived. 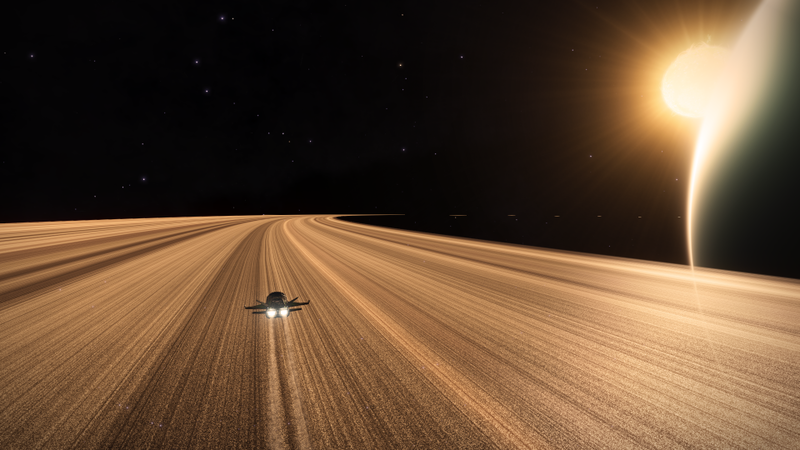 As described in the EDSM entry, the rings of planet B 10 are quite impressive. 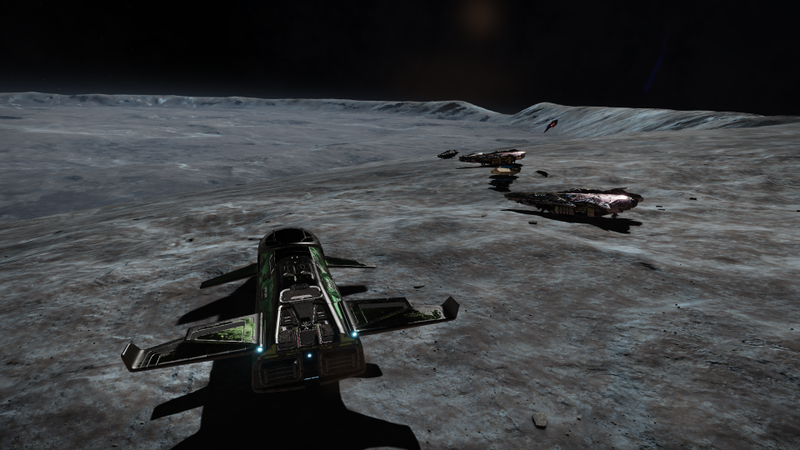 I'd love to be able to drive the SRV down into the crater, but it's too late tonight (tired), and in any case I really have to fly on to keep up with the fleet. 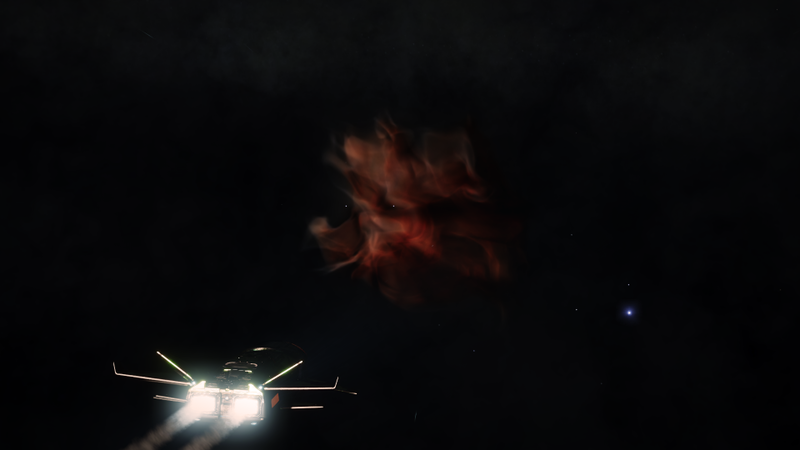 About 800Ly from the Phoenix Nebula I felt sure there was a face looking back at me! A few more jumps and I arrived. Not a lot to look at here. 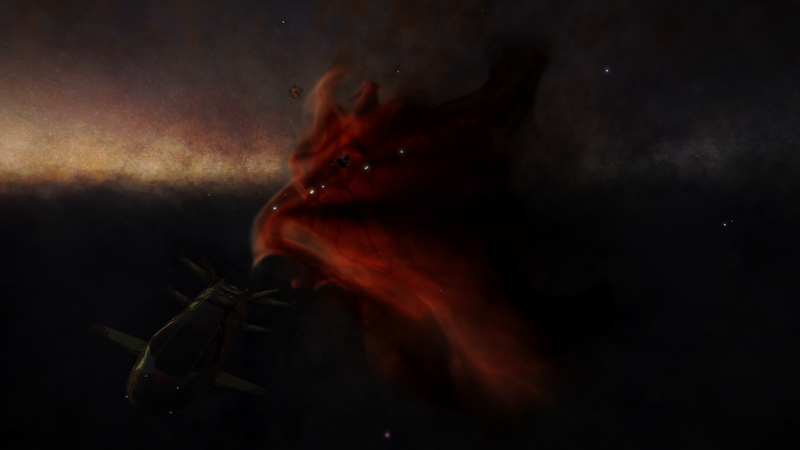 I got more than half-way towards the Phoenix Nebula tonight. 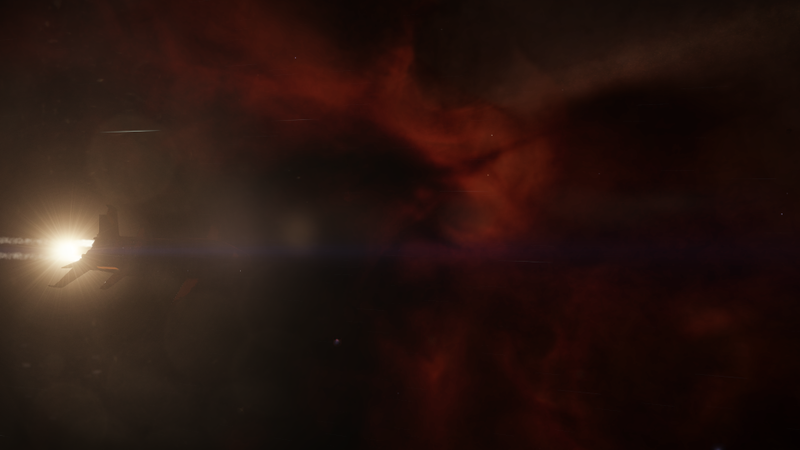 Early on I noticed I was flying towards a nebula and thought I'd be flying past it. 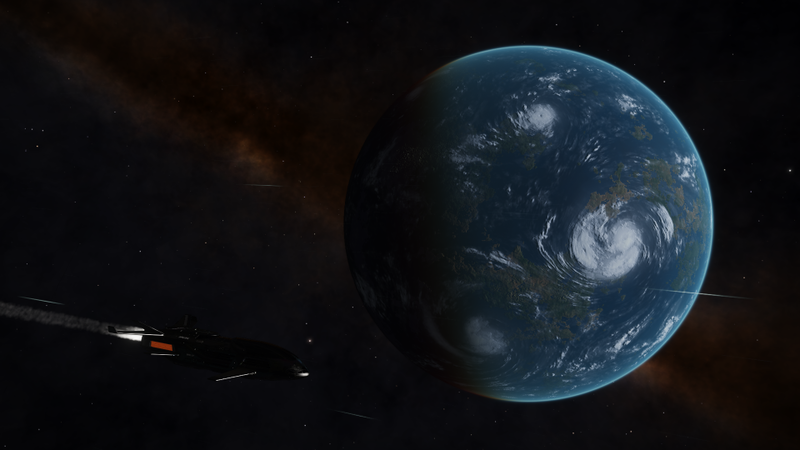 It turns out that it is my intended destination, visible from more than 4000Ly away. It's not worth a photo, being just a small red blob.